I’m trying to get a better handle on the approach that various artists take to painting. I do this as a means to better understand and, perhaps modify my own approach to expressing myself visually. ‘The McGuffin’ is a term invented by Alfred Hitchcock, for a movie plot device (a stolen painting, or a ticking bomb) that motivates the characters, but not the audience. Thus, my lesson for the day is to clarify my relationship to the world through the marks I make and the colors I apply to paper, and not on their meaning. 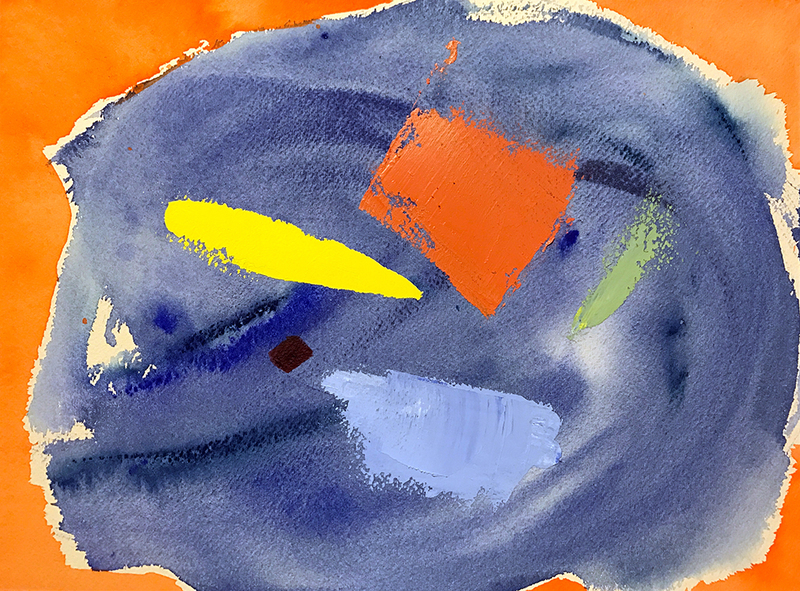 This entry was posted in Personal Stories and tagged abstract art, abstract expressionism, Alfred Hitchcock, art, creative process, creativity, McGuffin, painting, Richard Diebenkorn, visual arts. Bookmark the permalink. Thank you, Naomi, very kind of you. I’m so glad that you took something away from the post. I also like reading about how artists think of things. It adds to appreciation of art and also life!